The 2018 “Rucksacks to Backpacks School Supply Distribution Event for Military Families” took place all across the country. Mt. Laurel-based Freedom Mortgage teamed up with the USO to provide children of military families in grades kindergarten through eighth with free backpacks that hold donated school supplies, including pencils, pens, notebooks, folders, glue, crayons and more. Freedom Mortgage collected 2,612 backpacks and 5,148 assorted school supplies. The donations were distributed to military families through Freedom Mortgage and its USO partners in Fishers, Ind, Ontario, Calif. Jacksonville, Fla., southern New Jersey and Pennsylvania; and the Washington, D.C./Maryland region. 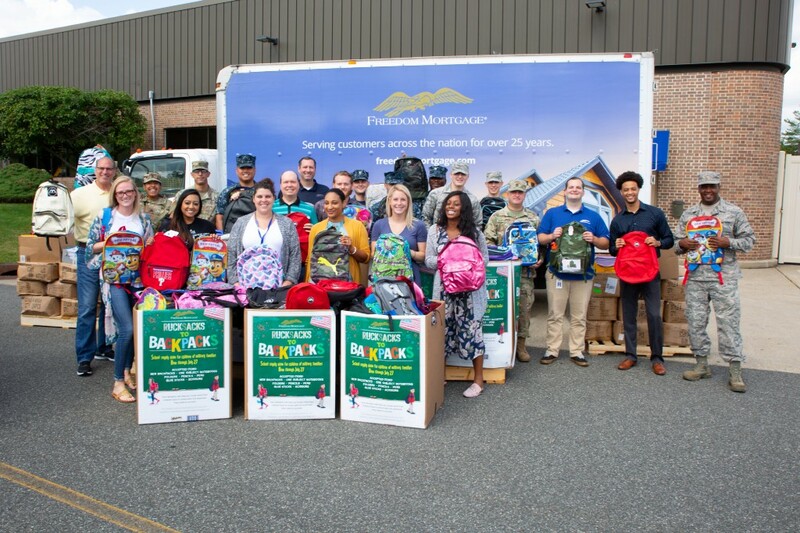 In addition, Freedom Mortgage sponsored its fifth annual Rucksacks to Backpacks Distribution Event earlier this month with Liberty USO at Fort Dix. According to officials, It was the largest of all the Freedom Mortgage distribution events across the country. Employees from Freedom Mortgage’s First Flyer career development program volunteered to help 250 servicemen and women pick out backpacks and school supplies for their children. The children also enjoyed a dance party with a DJ, games and prizes. In November, Liberty USO will present Freedom Mortgage with this year’s Chairman’s Award during the Liberty USO Gala Event celebrating 77 years of support in the Pennsylvania and southern New Jersey military communities.